Mrs Danae Bezantakou, founder of YES Forum & CEO of NAVIGATOR SHIPPING CONSULTANTS, underlined that YES Forum is the platform of open dialogue in the Greek Shipping and Sea Tourism Industry between principals, executives and university students, recent graduates and young executives. This unique initiative aims to create the next generation of shipping by passing shipping knowledge, experience and culture. Beyond the generation gap, bridges have to be achieved through Open Days & Daily Internships that are held in shipping companies as well as through the open dialogue which is carried out in Posidonia since 2016. A call at the young generation of Greeks to dare to make their own journey like Odysseas and set sail and claim the best for their lives, was delivered by the entire maritime community during the second edition of Yes Forum. Historical figures of the Greek shipowning community were present, with Mrs Athina (Nounou) Martinou, the Great Lady of Greek Shipping, dragging participants’ attention. YES Forum goal is to enable the young generation to become acquainted with the full spectrum of shipping and to remain for studies in Greece, with high quality undergraduate and postgraduate programs. We must attract both Greeks and foreign students, because "if you cannot study shipping in Greece, then where it could be possible?” asked Mrs Bezantakou. She stressed that Greeks who choose to go abroad to study or stay there for work, should know that our country is the first maritime nation with power and glorious history so that in any case to be Ambassadors of our shipping country asset. This effort should start from the bottom of the educational pyramid and specifically from primary and secondary education, with the inclusion of specific maritime and tourism courses in schools so that students from an early age become familiar with the characteristics of the two disciplines and their history. YES Forum will organize YES activities in schools, within 2019 !!!!!! The opening remarks were given by the President of the Union of Greek Shipowners, Mr. Theodoros Veniamis: "The bulk shipping and the wider maritime cluster, which is developed and derived by it, can become a thrive pole for the next few years, if competitiveness is preserved and thus the sustainability of the sector, creating prospects for enhancing the added value of the economy and at the same time significantly reducing unemployment. The aim of Greek shipowning is to maintain its leadership of shipping in the global shipping industry, while maximizing the benefits; economic, social and strategic for our country. " He also pointed out that "universities today must aim at linking the studies to the real needs of the industry, to which today's students, who will be tomorrow's professional executives, will be called upon to offer their services. 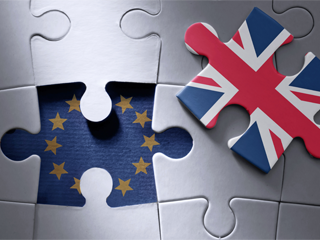 Particularly, the shipping industry, advancing, in the technological development, the environmental performance of the vessels and flexible management, is prone to the innovation in all areas of education and training of its executives. " Mr. Veniamis concluded with a positive and dynamic message: "Today, more than ever, the sea and especially the Greek bulk shipping is an outlet for unemployment, the financial crisis, but also for the young Greek scientists to remain and achieve professional recognition in their homeland. The extroversion of our shipping awaits you all. It is a choice that offers prospects, because the Greek shipping stands with a future at its hands". During the event, interventions were made by Mr. Anastasios Papagianopoulos, President of BIMCO, and Mr. George Prokopiou, Head of Dynacom Group. Mr. Anastasios Papagianopoulos urged the crowd, over 1,000 young people, to get outside their comfort zone and travel abroad, to make their own Odyssey, to dare to win a better future. Mr. Prokopiou, revealed that he has already brought to Greece a training sailboat which is located in Glyfada and which will be open to the new generation in order to get in touch and learn the life at sea. In essence, it will be an educational ship that will reinforce the efforts made, to maintain the maritime tradition of our country. During the Forum, the Minister of Shipping and Insular Policy, Mr. Panagiotis Kouroumplis, expressed the long-standing and historical ties of Greek people with the sea, emphasizing that the country's comparative advantages such as shipping, must be unambiguously developed. The first panel was moderated by Mr. George Teriakidis, Regional Business Development Manager - DNV GL, coordinating Mr. Nikolaos Veniamiis CEO - Starboard Shipping and Trading, Director - GOLDEN UNION, Mrs. Ioanna Prokopiou Managing Director - PROMINENCE MARITIME SA & SEA TRADERS SA, Mr. George Papayannopoulos, Principal - COMMON PROGRESS COMPANY NAVIERA S.A. and Mr. Vassilis Sakellis Managing Director - ALASSIA NEWSHIPS MANAGEMENT INC.
Mr. Georgios Teriakidis urged young people to take advantage of the many opportunities they are given today through technology and internet. Mr. Nikolaos Veniamis stressed out that the comparative advantage of the Greek shipping companies, is that management is part of the company's daily routine and not just an observer. Mr. George Papagiannopoulos pointed out the human factor and stressed how it will remain decisive for bulk shipping while Mr. Vasilis Sakellis considered that young people should not opt for money but to seek knowledge and experience. Mrs. Ioanna Prokopiou emphasized how shipping is in the nature of the Greeks as our history counts thousands of years in that activity. Members of YES Forum team presented the activities and Open Days that took place in Shipping Companies throughout the year. The second panel was moderated by Mrs. Katerina Stathopoulou, Executive Director - INVESTMENTS AND FINANCE LTD, and the panel consisted of Mr. George A. Alexandratos, Managing Director - APOLLONIA LINES S.A. & Vice President - Hellenic Chamber of Shipping, Philip Ioulianou Founder & Vice President - YoungShip Cyprus - Member of Bod YoungShip International, Mr. Petros Kokkalis Local Councilor for Local Growth & Entrepreneurship, Piraeus Municipality Co-Founder Aephoria.net - BlueGrowth Initiative, Mr. Markos Kiosseoglou Co-founder and Board Member - Reload Greece and Mr. Michalis Foustanos Director - Greek Shipping Miracle. Mr. Michael Foustanos talked about the history and the past where its knowledge and the experiences show us the way we have to follow and what to avoid because history repeats itself. Mr. George Alexandratos presented the Greek maritime cluster developed by the Union of Greek Shipowners, the Hellenic Chamber of Shipping and the Piraeus Chamber of Commerce and Industry. Mr. Philippos Ioulianou presented Young Ship Cyprus, a non-profit organization for young people in the wider maritime community, which operates on a voluntary basis. While Mr. Petros Kokkalis spoke about the blue economy and the creation of an innovative and competitive center in the city's big harbor. Mr. Markos Kiosseoglou presented Reload Greece (a youth business reference center in London), as well as the programs that have been created and who can participate. Mrs. Xenia Kourtoglou, Co-Founder & Managing Director, Focus Bari, presented the results of the survey conducted by YES Forum in collaboration with FOCUS BARI, regarding issues that concern young people who are willing to work or already work in the shipping industry. From the survey stem out very important conclusions about shipping with some of them showing that an important factor for shipping development, is sufficient investments to create and expand infrastructure while, a common point between employees and employers was the strong motivation for work. The third panel, coordinated by Mr. Giorgos Xiradakis, Managing Director of XRTC BUSINESS CONSULTANTS LTD. & President of THE PROPELLER CLUB (PORT OF PIRAEUS) was composed by Mrs. Athena Kanellatou Regional Director - MACGREGOR, Mrs. Dorothea Ioannou Chief Commercial Officer SCB Inc., Manager - American P & I Club, Mr. Costas Kontes General Manager - V.Ships Greece Ltd., Mr. Costis Frangoulis CEO - FRANMAN GROUP and Mrs. Wanda Costopoulou, Managing Director - ARKAS HELLAS. Mr. Giorgos Xiradakis expressed his optimism about the future of Greek shipping, stressing that shipping is an industry that is constantly moving. Mrs. Athena Kanellatou recalled how "Greek shipping has been the first among others for many years", while Mrs. Dorothea Ioannou noted that shipping can and should have people involved from all sectors of the industry. Mr. Kostas Kontes stressed that every young person who wants to succeed can do it by pointing out that his experience has shown that Greeks are the best in shipping. Finally, Mr. Kostis Fragoulis expressed the conviction that Greek shipping will continue to star in the years to come, while Mrs. Wanda Costopoulou said that shipping has room for everyone. 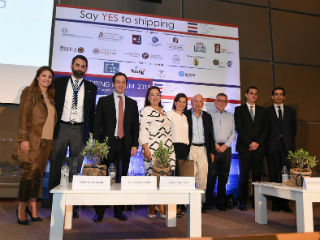 Concluding this very successful second edition YES Forum, Mrs. Danae Bezantakou invited everyone who contributed and supported YES to Shipping Forum to continue this successful dialogue and to already prepare the third edition YES to Shipping, Forum 2020, on 5th of June 2020 during Posidonia 2020.